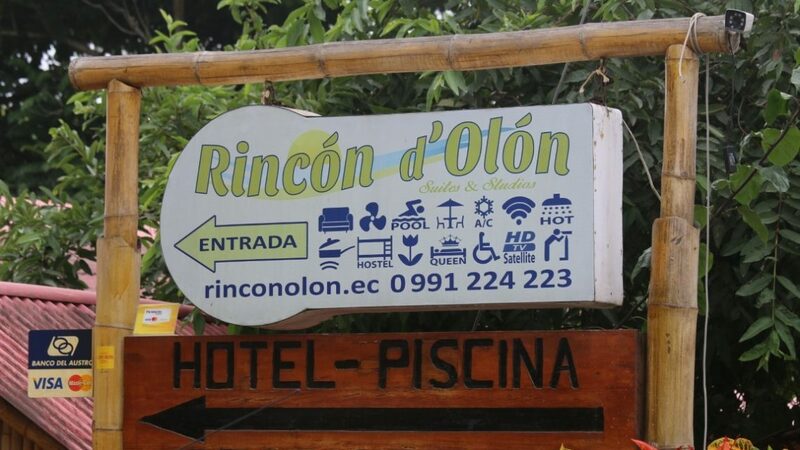 Olon Hotel Guide - Rincón d'Olón: 9.5 on Booking.com! In Olon, Ecuador, there are possibilities for any budget! From Campings and rooms at local families up to Penthouses and complete Villas with direct access to Olon's Beach! If you are looking for hotels in Olon, you are in the right place with out Olon Hotel Guide! Haven't made a Reservation on time and can't find a room with us online? Call us at +593 991 224 223! We might have a room laid away for you as our special guest or can give you our Recommendation for an Alternative! This comprehensive list of Hotels, Hostels, Guesthouses and Campings in Olon is made for your Convenience. It includes links to their pages, and basic info. We've put a link to their own websites if they have one. If not, you can probably find more information on Google, Tripadvisor or Booking.com or walk by the establishments once you are in Olon!